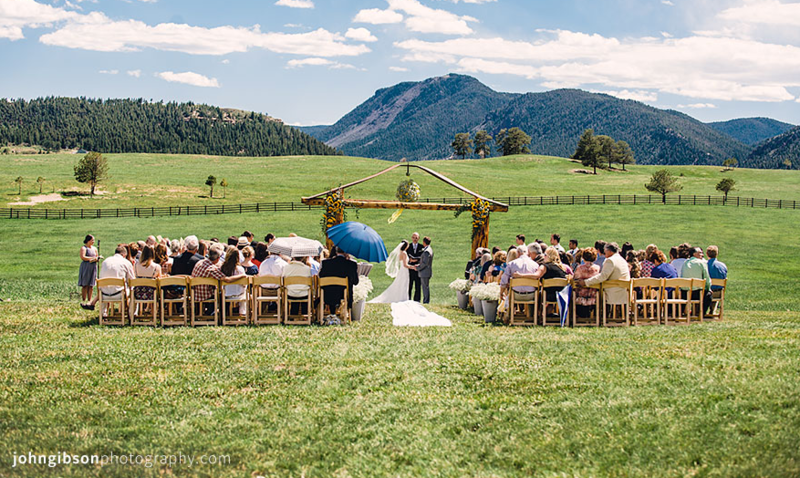 Spruce Mountain, a premier mountain event venue featuring two separate properties over a mile apart, offers magnificent hand-crafted detail and state of the art conveniences. 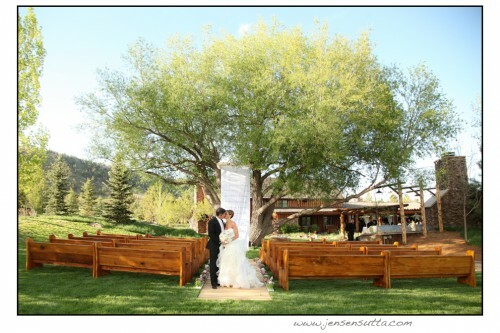 Venues were specifically constructed with the beauty of Colorado in mind. 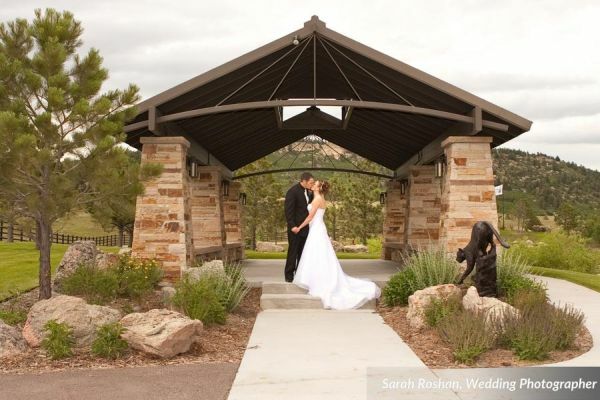 We offer both indoor and outdoor venue spaces to cater to both summer and winter weddings. We believe in allowing our clients to have freedom and flexibility in planning. We encourage our couples to share their dream wedding so we can do all we are able to make it a reality. 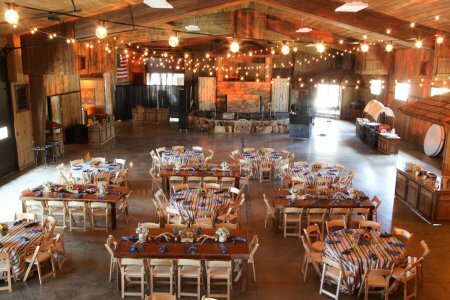 Whatever your style, whatever the season, Spruce Mountain Ranch, an event venue like no other, provides something for everyone. In preparation of your event we invite you to explore our Planning Guide created to help you plan and make the most of the remarkable amenities Spruce Mountain has to offer. We answer questions on floor plan design, a list of recommended vendors, room diagrams and more. If you have additional questions, please feel free to contact us, as we will be happy to assist you. We also have an interactive planning guide on our Spruce Mountain App located in the Apple App Store and Google Play Store. Just search “Spruce Mountain Events”. 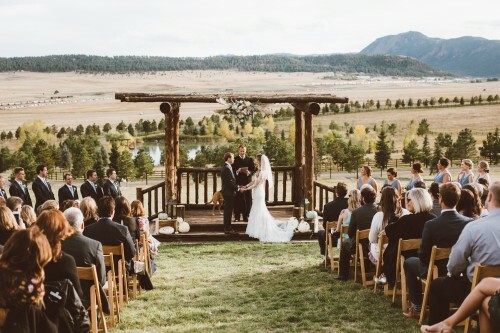 Albert's Lodge continues the rustic yet elegant Colorado design of Spruce Mountain. Features of this lodge include an inviting front porch, floor-to-ceiling wood burning fireplace, and built in bar. Caterers appreciate a full service pantry for ease of service. VIP’s can enjoy a private room complete with a wet bar, flat screen TV, and pool table. Creatively engineered for indoor/outdoor capabilities, Albert’s Lodges’ massive doors on one-side of the space open up to a courtyard lit with stunning market lights, offering your guests the opportunity to comfortably enjoy the outdoors. A true Colorado experience! Built to entertain "Colorado Style", this location has it all! Indoor and outdoor fireplaces, stream and dewpond, wild flower gardens, and outdoor activities galore. You will be taken away by the uncompromising beauty and abundant accommodations. This outdoor area is nestled between the "Colorado Room" and "Albert's Lodge". It is surrounded by beautiful rock walls and a rustic log pergola covered entrance. This site is also the perfect location for a bride who would like to make her grand entrance by a horse drawn carriage or dance underneath the stars. The properties immaculate garden is transformed into a luxuriant ceremony. Resting beneath the lush limbs of an old Willow tree, this setting resembles that of an elegant, vintage Southern Plantation. The space offers a spectacular view of Spruce Mountain, a flowing creek, and budding wild flowers. Feel a part of natures astonishing beauty. This vast open meadow area rests peacefully on the hillside of Spruce Mountain. You and your guests will certainly enjoy your spectacular views overlooking the ranch and Ogdn Pond. The magnificent grandeur of the Ponderosa Room is truly incomparable. 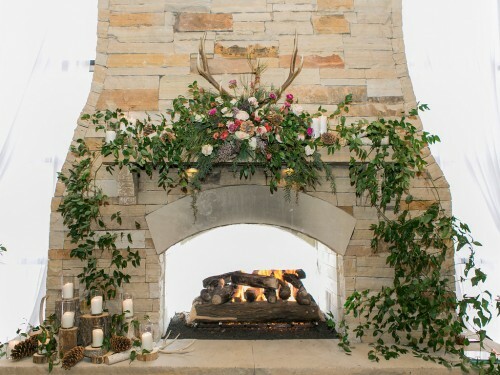 Featuring genuine Colorado style and impressive accommodations, this rustic yet sophisticated indoor venue includes indoor/outdoor fireplace, courtyard and stage; sure to make an impression on your day. 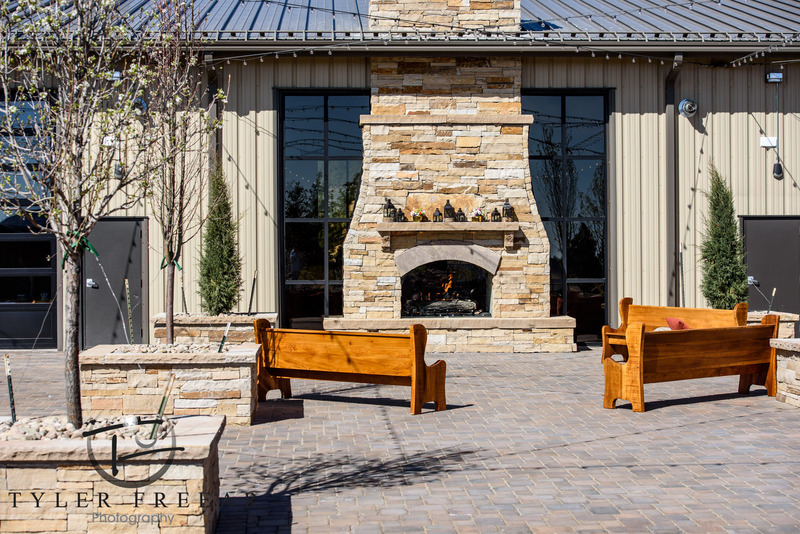 Upon entering The Spruce Room, guests will be immediately captivated by a floor-to-ceiling, indoor/outdoor fireplace, market lights, and glass overhead doors that open to our lighted courtyard. This versatile space was created as an extension of our Ponderosa Room to accommodate large parties over 300 guests, but can also be used alone for more intimate affairs. 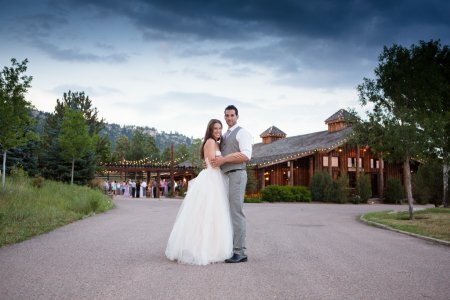 Surrounded by uncompromising views, this venue is idealistic for anyone wanting to show their guests what Colorado is all about! This outdoor area is nestled between the "Ponderosa Room" and beautiful landscaped surroundings. 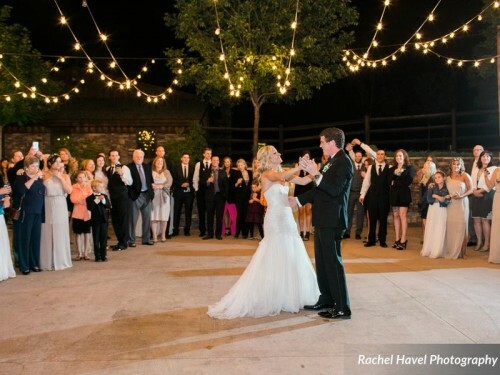 This site is the perfect location for an outdoor ceremony, cocktail hour and dancing underneath the stars. Our most intimate site rests on the water's edge of "Angus Lake". Beneath the stone gazebo, you and your guests will be inspired by our stunning fountain, and natural surroundings; the perfect location for a smaller ceremony or reception. Lakeview Terrace is also popularly used for our Rehearsal Brunches. Feel a part of nature's astonishing beauty. Enter handcrafted wooden doors that open up into this vast grassed vista that rests on our upper ranch. You and your guests will certainly enjoy your spectacular views and peaceful surroundings.